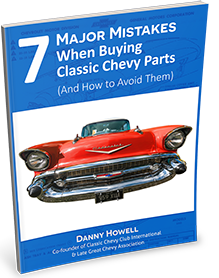 For over 30 years, Southeast Chevy Parts has been collecting antique Chevys to strip, salvage, or resell. We have thousands of original parts for the Impala, Bel Air, Biscayne, Caprice, Wagon, and more. We also maintain a salvage yard of over 100 cars. Customers love to come and peruse our "Graveyard" looking for those rare parts. Unfortunately, this privilege was limited to those who could physically stop in. Well, not any more! So whether you are across the street, the state, or even the sea, you can take a virtual walk through our "Graveyard" Gallery. Keep in mind this is a living project since we are constantly purchasing and stripping out "new" cars.